It’s the third Monday in May. I’m in East London, in a barn of a building, buzzing with wine producers, press and trade. There’s a palpable sense of excitement throughout the room. No, I’m not at the London International Wine Fair. 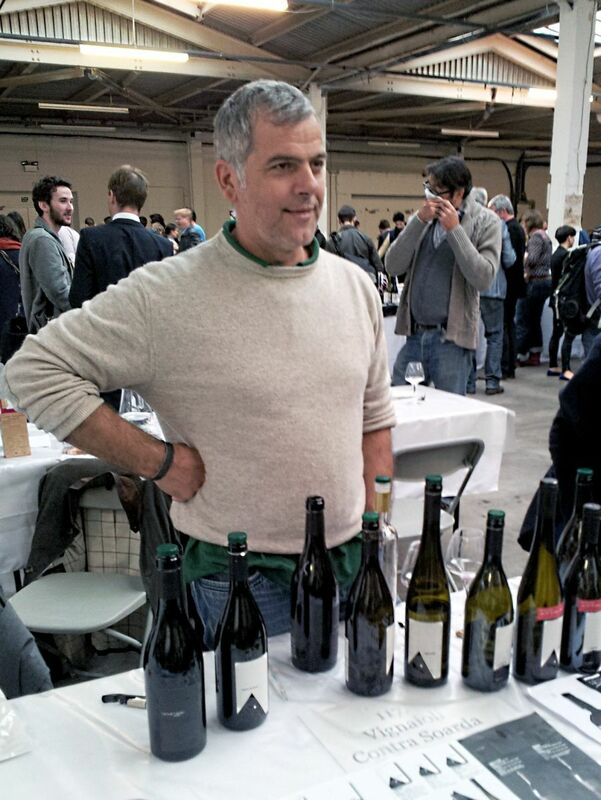 This is the second edition of Isabelle Legeron MW’s Raw Fair, which in the space of just a year seems to have established itself as London’s biggest celebration of small-scale, artisanal winemaking. So what, you might ask, does that really mean? From the horse’s mouth: “RAW celebrates wines with emotion. Wines that have a humanlike, or living, presence. They are also wines that are an authentic expression of a place”. Many of the fair’s visitors would be comfortable to sum this up as “natural wine”, but RAW have bravely attempted not to fall back on such a slippery term. In general the wines on show came from small or very small estates (I don’t think I spoke to a single producer who was making more than 25,000 bottles a year). RAW has a quality charter which aims for maximum transparency, requiring all wines to be made using organic or biodynamic methods of cultivation (even if the winemaker is not certified), hand-harvested grapes, and to be fermented without added yeasts or nutrients. The catalogue lists technical information for every wine, including level of total sulphites and whether any filtration or fining materials were used. This almost fanatical level of detail might not interest everyone, but the need to provide it is clear: RAW wishes to stave off criticism that natural wines are an ill-defined category which does little more than pull the wool over consumer’s eyes. 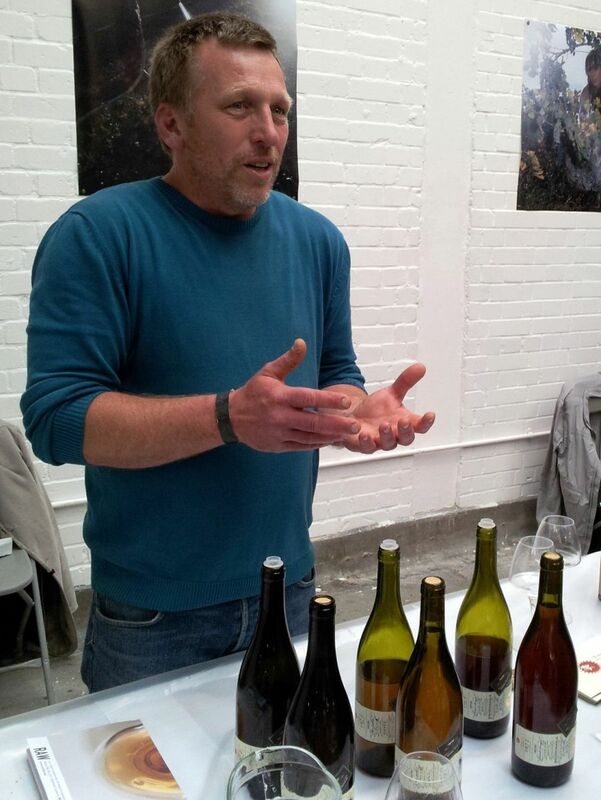 Natural wines have their detractors – the nomenclature seems to cause more ruptions than anything else – but even some of the most vocal doubters were at the Old Truman Brewery to see if it really was all cidery smells and faulty wines. Which of course it was not – Even Robert Joseph quietly admitted that he “came across enough good wines to want to return next year”. Despite a minor reduction in the number of producers compared to last year (from 200 down to 180), the venue was full to bursting on the Sunday. Monday’s trade-only day was barely more sedate – rumours were circulating that Raw was considerably more lively than the ever-shrinking LIWF. The standard was particularly high amongst the Northern Italian and Slovenian winemakers. This doesn’t surprise me, since the cross-border Friuli Collio/Western Slovenia/Istria region is one of the key areas where the modern renaissance in low-intervention winemaking took hold. Legeron’s team pulled off a considerable coup by assembling all three authors of Wine Grapes for a talk. 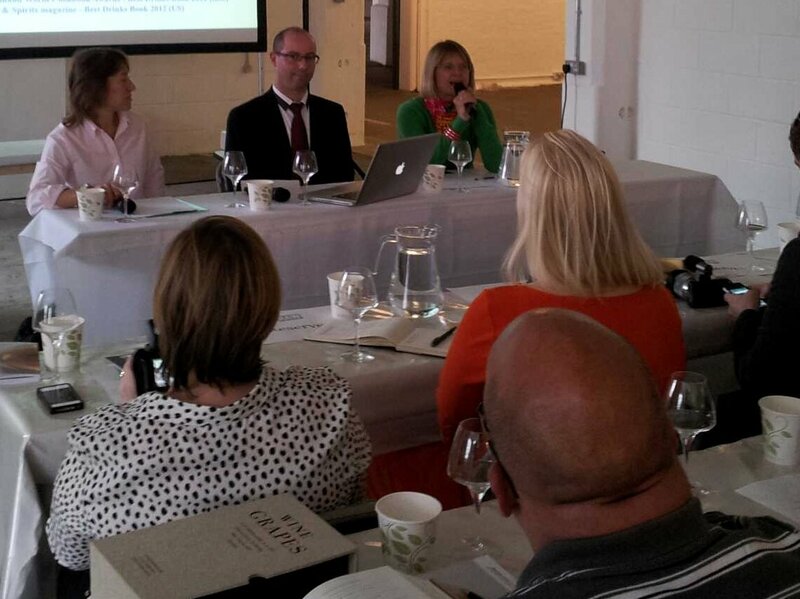 Jancis Robinson, Julia Harding and Jose Vouillamoz lead a genial and carefully considered tasting of six rare wines. Unsurprisingly, it was standing room only. I barely got beyond the wine, but there was also an impressive array of artisan food, tea and beer, both to taste and to consume. If I had a complaint, it was that exhibitors seemed to be struggling to keep the white wines chilled. I can cope with hefty skin-macerated whites being served at 12-15C, but trying to enjoy a sample of a delicate, mineral Riesling served warm (18-20C?) was not so much fun. Quibbles aside, the genius of an event like raw fair is the potential for new discoveries and surprises. Ever tried a Swiss white wine fermented in Georgian Amphorae? Or wondered what the wines of Lipari (off the coast of Sicily) taste like? Inevitably, with so much diversity and experimentation not everything was successful. There were wines being shown that I found challenging, if not downright faulty. But they were in the minority, and it’s hard to get bored at an event like this. I’d rather that winemakers take risks, even if they get it wrong sometimes. Here are 12 of the most thrilling wines I tasted. This is inevitably a personal selection. Despite spending both days at the fair, I only got to a tiny fraction of the assembled 180 producers. I’m looking forward to redressing the balance next year. NB: UK importers are listed where applicable. Many of these wines aren’t yet available here. Let’s hope they will be soon. A beautifully focused, balanced wine from Austria’s native pinot-like red grape. Not showy, but utterly moreish with subtle oak influence, restrained red fruit and a fresh finish. Gewurz as it should be – delicate rose petal aroma, mineral, rich and off-dry but not cloying in any way. I’m delighted to see that this domaine now has a UK importer (Gergovie Wines). I asked Geneviève Barmès if this was as a result of exhibiting at RAW 2012, she confirmed that it was. The first vintage from a joint venture between Isabelle Legeron and a Georgian winemaker. If you’ve never tried a Georgian qvevri wine, this is a great place to start. Made from Georgia’s signature white variety Rkatsiteli. Taut, herbal stone-fruit with piercing acidity that balances the robust, but ripe tannins. Best with food. Generous creamy texture, quite fat but without sacrificing freshness. Trademark nuttiness on the finish. Uros also makes a “black label” Malvasia from 100 year old vines, with a more complex, savoury character. Friuli’s Ribolla Gialla becomes Brda’s Rebula as you slide across the Italo-Slovene border. This is an “orange wine”, made with a couple of week’s skin maceration. It’s extremely fresh and lively, especially considering the age – but gains in complexity and body. Radikon has always been a bit of a rebel, and pioneered the idea of extended skin maceration for white wines, together with Josko Gravner. Since the EU now forbids the old “Tokaj Friulano” name for one of Friuli’s noblest indigenous white grapes (AKA Sauvignonasse), Stanko simply reversed the offending part on his labels. Friulano really responds well to skin contact, and this is fantastically rich and honeyed (whilst remaining bone dry), vividly fresh and defined. My hastily scribbled tasting note just says “Wow!”. Like pear-drops macerated in a glass of salt water. Very fresh and focused, with lithe fruit. A lovely expression of Malvasia and Carricante (more commonly found across the water in the Etna region). Produced from a rare red grape, but according to Jose Vouillamoz, this particular wine is not produced from Cornalin but actually “Rouge du Pays”. Mouthwatering, vibrant black cherry. Pure fruit expression, but elegant with it. A red blend showing just how well the holy trinity of Cabernet Sauvignon, Cabernet Franc and Merlot can perform, when vinified adeptly in Western Slovenia. Matured in cherry-wood barrels. Maybe it was auto-suggestion, but the predominate fruit character for me was red fruit and cherries. Well structured, with a smoky, sappy edge. Mature but still loads of potential to age. Textbook smoky, muscular Nerello Mascalese from very old vines in the Etna region. Mineral red-fruit core with considerable poise and elegance. Intriguing and inviting herbaceous nose, with aromas of tea leaves and berries. Like sucking on cherry stones, quite a hot savoury finish. A blend of Nero d’avola, Frappato and Alicante (AKA Grenache). Brooding, serious Pinot Noir from Mirco Gottardi, with mature, dark, leathery fruit and powerful tannins. Reminds me of top quality Nuits-Saint-Georges.